Getting a visa gives us a lot of anxiety-- this is true especially those who hold a passport from a 3rd world country like me! Not only is there a long list of requirements, the chances of visa denial is also relatively high. • whether the person would be likely to leave Canada at the end of his/her authorized stay. One of the requirements in applying for a Canadian Tourist Visa is your Bank Statement/Bank Certificate. This is to prove that you are financially capable to travel and stay in Canada as a tourist and that you have strong ties to your home country. For a Canadian Tourist Visa, you need to have at least 150 USD/day of your stay plus some funds to cover your hotel and flight fees. What you should do: Note that there are several factors they consider when looking at your Bank Statement/Bank Certificate and it’s not all about the total amount you have. Your bank account should show that you have a steady source of income as computed from your Average Daily Balance and that’s just tip of the iceberg. Click here to know more about the 7 Practical Tips On How To Have The Right Show Money. What you should do: Triple check the documents that you have in hand. Make a personal checklist if possible. Not submitting any of these warrants visa denial unless the Consul is kind enough to call you and ask for the missing documents. 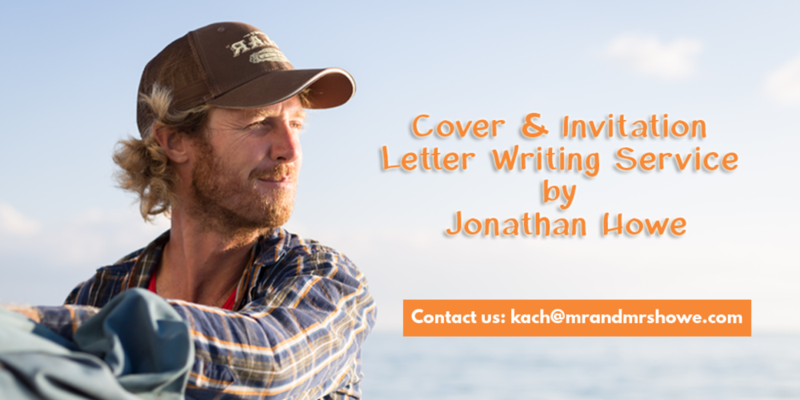 You can submit additional documents like an Affidavit of Support from your sponsor, a Cover Letter, or an Invitation Letter from a resident/company in Canada if it’s necessary for your application. This is greatly frowned upon in any Embassy or probably by anyone! Would you like to take someone who lies straight to your face as a guest in your house?? Certainly not! An example of misrepresentation is making it appear that you are employed when you are certainly not. An example of falsification is when you produce false documents like a Certificate of Employment to ‘prove’ that you are gainfully employed. What you should (not) do: Do not even attempt to do this. Period. This could cause outright visa refusal or worse, it could get you blacklisted. One of the top reasons why people want to migrate to Canada is because of their very efficient Health Care System. An Immigration Medical Exam is required for Permanent resident applicants, Temporary residents, and Refugees. This is the Government’s way of taking steps to protect the health of Canadians; to protect the safety of Canadians; and to reduce and prevent excessive demand on Canada's health and social services. What you should do: Make sure your health is at its best and get the required Immigration Medical Exam when you are applying for visas under the above-stated categories. A pending criminal case or a criminal background is a cause for outright visa rejection. This is especially true when you’re applying for an immigrant visa. For tourist visas, I think it will depend on the severity of the case. If it’s just theft then I think you can still get it but if it has something to do with terrorism or a capital offense like murder or kidnapping, then definitely not. That’s my personal opinion and please correct me if I’m wrong. What you should do: Wait for the disposal of the case. It is only when your name is cleared that you stand the chance of getting an immigrant visa. 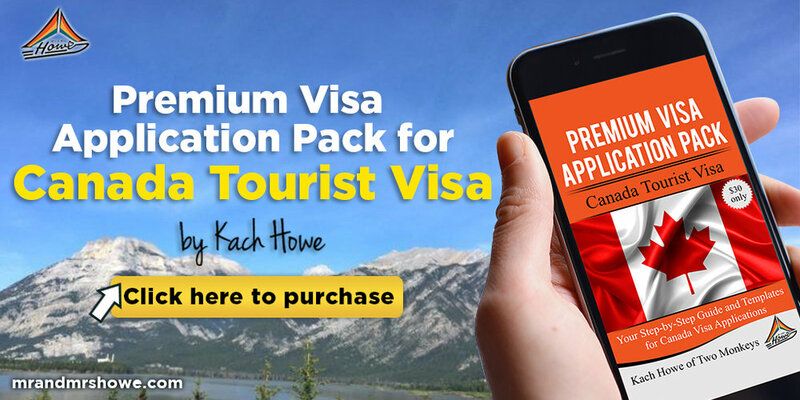 One of the requirements for a Canadian Tourist Visa is the copy of your visas (valid or expired) as well as your entry and exit stamps. Now you know that this is one of the things they take into consideration. This proves that you are financially capable to travel and that you haven’t overstayed in any country that you visited. What you should do: Travel outside of your country first. Promo fares are everywhere and Southeast Asia isn’t expensive at all! The easiest way to get passport stamps from the Philippines is by crossing the border from Singapore-Malaysia or backpacking across Southeast Asia using the Vietnam-Cambodia-Thailand Route, Thailand-Malaysia Route, or the Thailand-Myanmar Route. For those who have the luxury of time, you might want to consider doing it for at least 2 weeks so you would really get to enjoy the experience. This is the most common reason for tourist visa denial. They protect the interests of the Canadians and people seeking employment while on a tourist visa or those intending to overstay and drain their resources are threats to them. What you should do: Show your deep-rootedness or deep ties in your home country. Show them that you are financially capable, that you have properties, and/or you are gainfully employed.